This is 1.75mm (0.07") PLA filament which is commonly used by reprap, Makerbot, Mendel, Huxley UP! Printer, WeisTek and Thing-o-matic 3D printers. It comes with one spool that can be easily attached on 3D printer. PLA is a wonderful filament. It is the most environmentally friendly material available for this type of 3D printing, and it comes in a wide range of colors. Polylactic acid or polylactide (PLA) is a thermoplastic aliphatic polyester derived from renewable resources, such as corn starch, tapioca roots, chips or starch, or sugarcane. It can biodegrade under certain conditions. 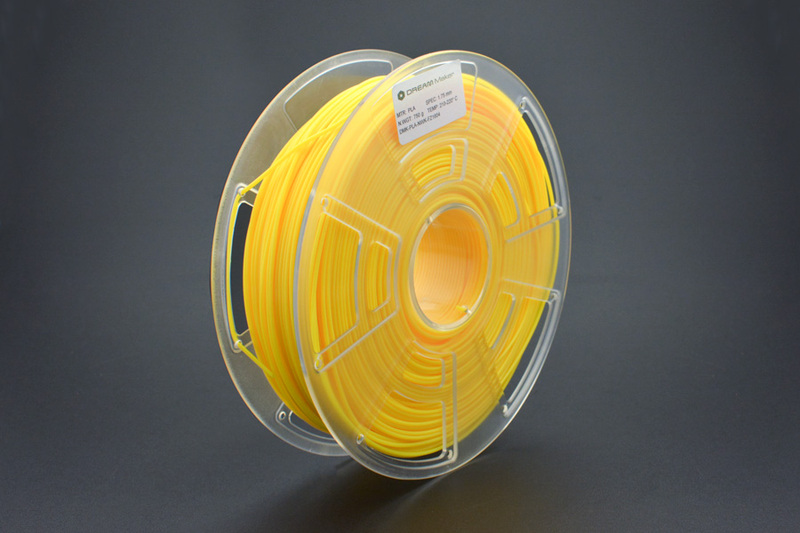 As the extrusion head temperature will vary from 3D printer to 3D printer design, temperature differences will affect the result of your print, we suggest PLA use an optimal temperature range of 210℃ to 220℃. Please make the appropriate adjustments to temperature before you print with PLA, some testing might be required to find your optimal print settings.